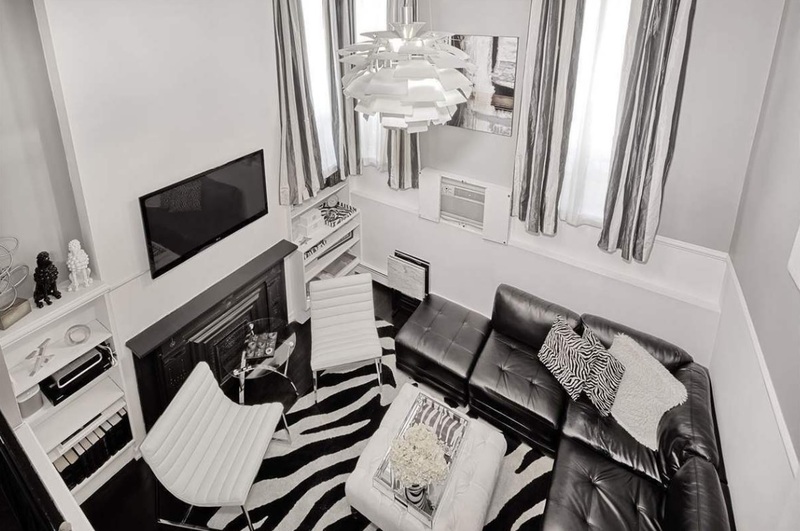 This two bedroom has high ceilings, a chef’s kitchen with quartz countertops, and a living room with custom built-ins. It's listed for $725,000. Priced out of NYC, but still want to buy a place that’s close to Manhattan, and has lots to offer in terms of nightlife? Try Hoboken. In this week’s Buy Curious, Morgan Burch of Douglas Elliman, Igor Beyder of Beyder and Company Realty, and Josh Heyer of Weichert Realtors in New Jersey and Triplemint in NYC explain why the New Jersey locale is a great place for young professionals who don’t want to have to head into the city every time they want to go out on the town. I was recently in Hoboken and it looked like it was really popping. I'm in my late 20s and would need to commute to Manhattan every day. How doable is that? What kind of nightlife does it offer? I would need a two bedroom. What's available? Hoboken may be a small town—just 1.25 square miles, so it's a little more than its nickname, “Mile Square City”—but it’s got big city vibes, according to our experts. She also likes that Hoboken is clean and walkable—great for young folks who don't have cars—and has a shorter commute to downtown than many places that are actually in Manhattan. 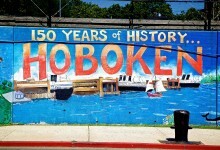 Hoboken is located on the west bank of the Hudson River directly across from the West Village and Chelsea. 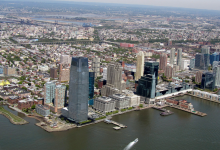 Weehawken and Union City are to the north, and Jersey City is to the south and west. As of the 2010 U.S. Census, there were 50,005 people in Hoboken—82.24 percent white, 15.20 percent Hispanic or Latino, 7.12 percent Asian, and 3.53 percent African American. Heyer has noticed a mix of recent graduates and young professionals, students from Stevens Institute of Technology, young families, and long-time residents of Hoboken. “Anecdotally, it seems like more and more young families are making a concerted effort to stay in Hoboken versus moving to the suburbs,” he says. According to Heyer, the vast majority of housing inventory in Hoboken are townhouses or condos in walk-up buildings. “However, development has certainly been on the rise,” he says. “Major developer Toll Brothers has already launched [luxury condo building] 1400 Hudson and is about to launch another, 1425 Hudson. There is some new building, as well as condo conversions of commercial buildings. 720 Clinton St., a condo conversion of a former Wonder Bread factory, will bring 68 new apartments to the city. New luxury rental buildings are rising and drawing the growing student and young professional population in Hoboken. Buildings include the The Harlow, which offers concierge services, an outdoor pool, a fitness center, and a residents-only shuttle to and from the nearest PATH station, and The Jordan, which has a gym, a lounge, on-site parking, and a common courtyard. 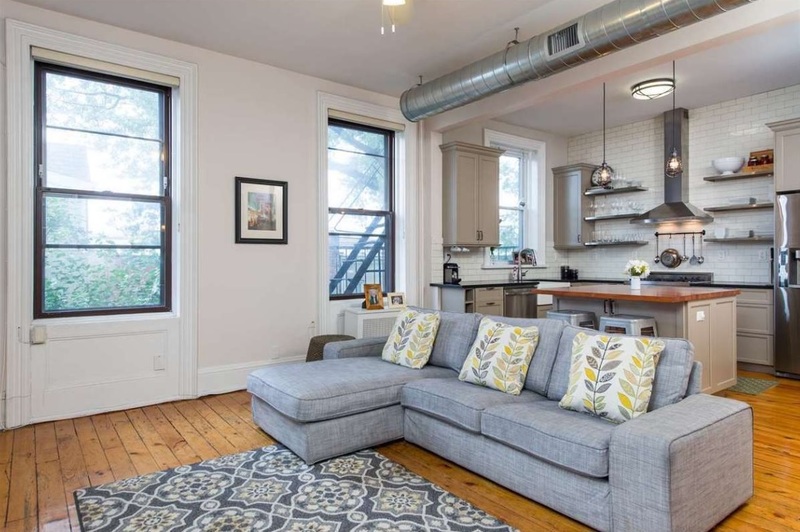 A quick search of Realtor.com reveals that there are 326 properties currently on the market in Hoboken, such as a one-bedroom, one-bathroom condo, 406 Madison St.#2R, listed for $249,999, and a four-bedroom, four-and-a-half-bathroom house at 630 Hudson St., listed for $5,250,000. Burch adds that “looking at the Hudson County MLS in 2018 to date, single-family homes have sold between $795,000 and $2.6 million. The average sold price is $1.8 million. 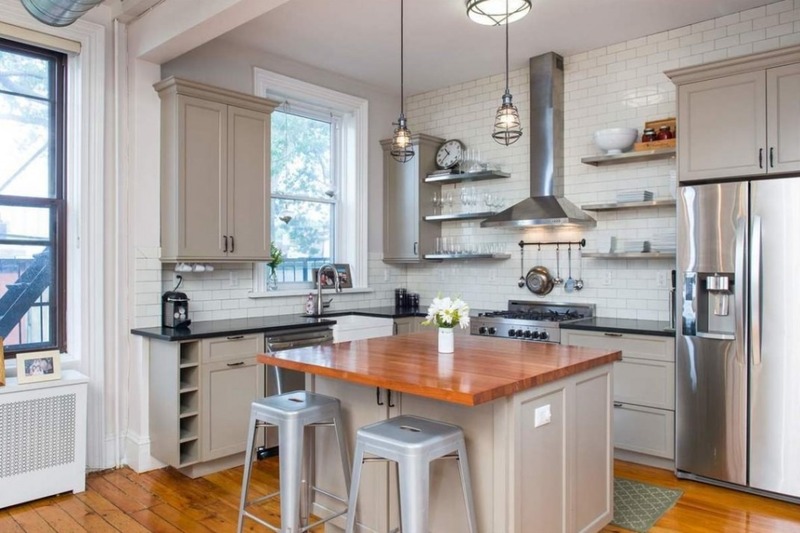 Two- to four-family homes have sold between $1.2 million and $2.5 million. The average sold price is $1.6 million. Condos and co-ops have sold between $234,000 and $3.5 million. The average sold price is $823,000. For people commuting from Hoboken, there’s the PATH train, which can get you to Lower Manhattan in about 20 minutes. 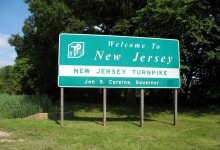 There are also frequent New Jersey transit buses, and a ferry that’ll get you to Manhattan in under 10 minutes. Since it’s so close to the Hudson, activities on the water are very popular here. You can sail, paddle board, and kayak at Pier 13. The Hoboken Cove Community Boathouse offers free kayaking. Outdoorsy types also hang out at Pier A Park, a huge, football field-sized park where folks can fish, sunbathe, and relax. Folks looking for more indoor-type activities can check out the Monroe Center for the Arts, a multi-disciplinary arts center with galleries, artist lofts, and fashion and jewelry designers who offer workshops and classes, and the Hoboken Historical Museum, which showcases the city’s history, culture, architecture, and landmarks. Fans of the hit show "Cake Boss" can also visit Carlo’s Bakery to take cake-decorating classes or simply to taste some of Buddy Valastro’s delicious confections. “Skip the commute on weekends and enjoy Hoboken’s vast dining scene,” Beyder says. For casual eats, he recommends Cuban diner La Isla and classic American steakhouse Dino & Harry’s. For something a little more chic, he advises checking out the waterfront dining at the Halifax at the W Hotel. Heyer is partial to Karma Kafe. “The Chicken Tikka Masala and Gingery Coconut Chicken Soup are otherworldly,” he says. “Johnny Pepperoni is great for a quick bit of Italian, and Tutta Pesca Restaurant & Fresh Fish Market is good for a slower meal,” adds Burch. As for nightlife, there are lots of places to get your drink on, including Pilsener Haus & Biergarten, where you can choose from over 70 handcrafted beers, as well as a variety of grilled sausages and warm Bavarian pretzels; Brass Rail, which serves a large selection of cocktails with fun names like Prohibition Pig, Cinnamon Toast Punch, and Smoke Show; and Cork City, which serves 144 different brews (including 42 on tap and two on cask! ), and also allows dogs on the premises. Beyder also likes Whole Fresh Market Place on Marshall Street. This organic market carries produce, organic snacks, and lots of gluten-free options. 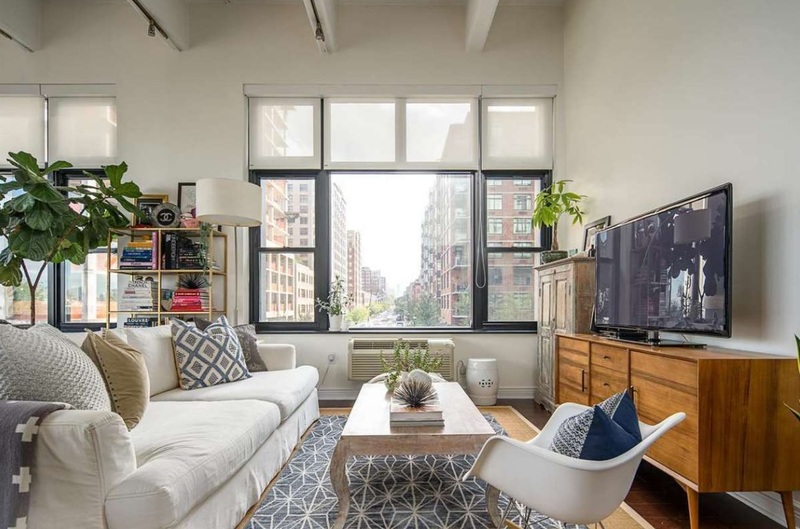 This $725,000 two-bedroom, one-bath condo (also pictured top) is 1,216 square feet, and has high ceilings, central air, and pine floors. The open floor plan includes a chef’s kitchen with quartz countertops and stainless steel appliances, a formal dining room, a living room with custom built-in bookcases, a large master bedroom with a walk-in closet, and a second bedroom. The building offers a free washer and dryer and private gated storage in the basement. 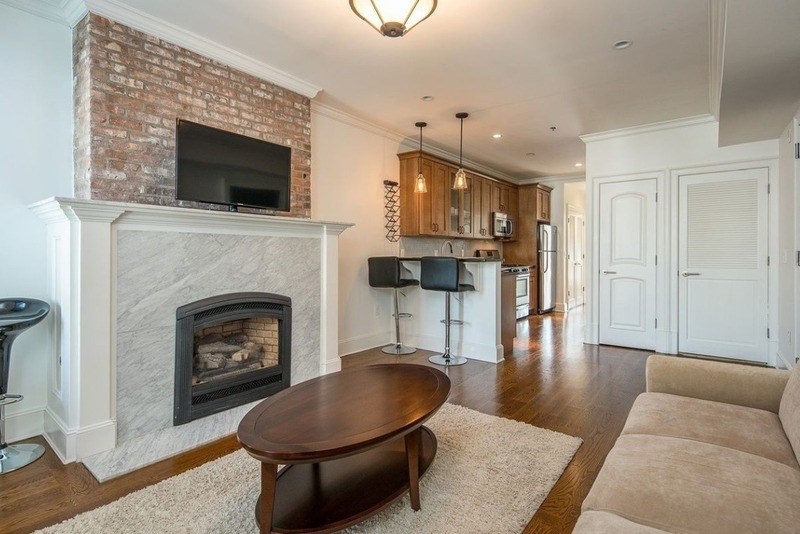 Listed for $535,000, this two-bedroom, one-bath condo has a large kitchen with new stainless steel appliances and room for a dining table, a master bedroom with two closets, and tin ceilings and exposed brick in the second bedroom. It’s in a condo building with a security camera, free washers and dryers, and a private storage locker. Common charges are $329 a month. Taxes are $516 a month. Priced at $605,000, this two-bedroom, one-bath apartment has a gas fireplace, a stainless steel kitchen, a private terrace, and bedrooms that are located on opposite sides. 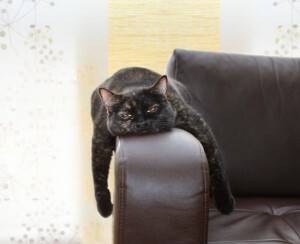 It’s in a pet-friendly condo building with a washer and dryer. Common charges are $326 a month. 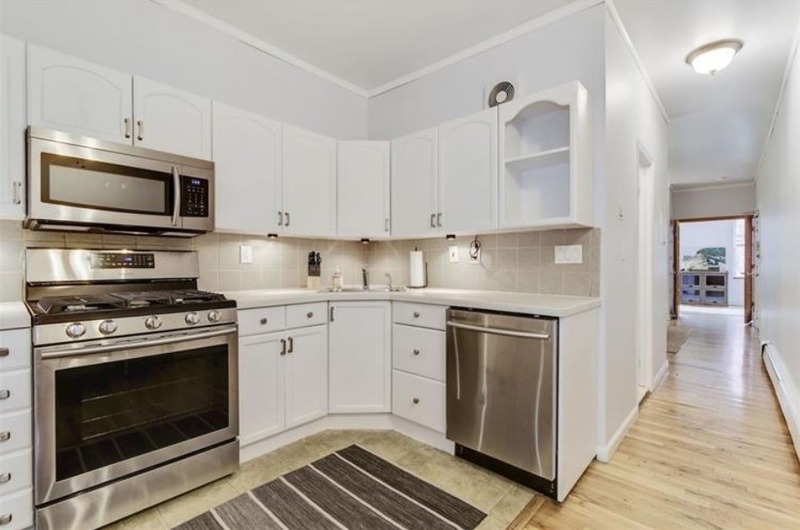 This 1,320-square-foot two-bedroom, two-bath condo is listed for $759,000, and has 16-foot ceilings, refinished hardwood floors, a brand-new washer and dryer, and a large private storage space. The building has a shared garden where residents can grill, and rental parking is available directly across the street. Listed for $1,450,000, this two-bedroom, two-bath apartment has an open floor plan, a renovated kitchen with stainless steel appliances and an island, 13-foot ceilings, large windows with contemporary window shades, custom LED lighting, wide plank flooring, lots of closets, and a garage parking spot. It’s in the Hudson Tea, a full-service condo building with a 24-hour doorman, fitness center, residents’ lounge, children’s playroom, and shuttle service to/from the PATH, on-site dry cleaner, and bakery/coffee shop. Common charges are $879 a month.